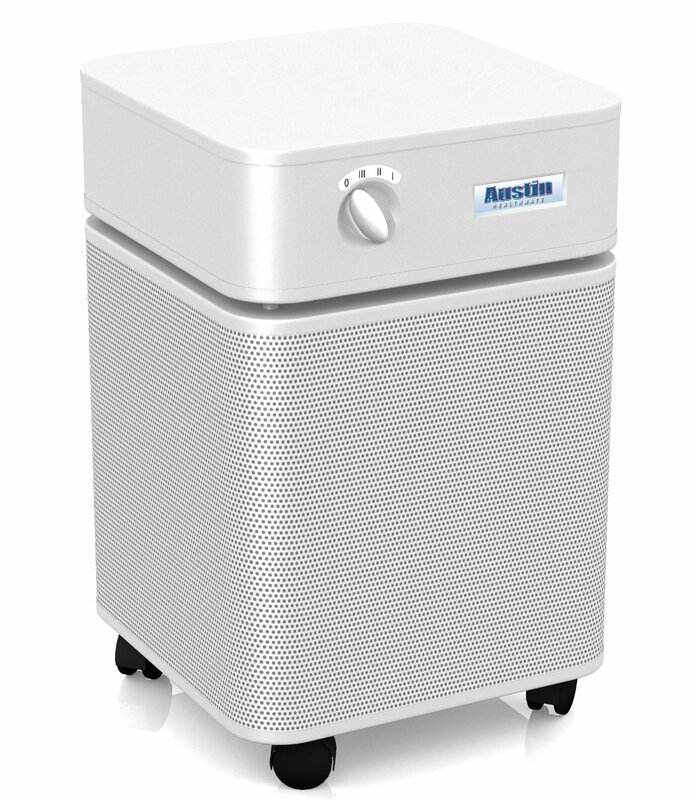 Reliable, robust and energy efficient – the Austin HealthMate 400 air cleaner packs quite a punch when it comes to price-quality ratio. Over the years it has taken its rightful place in the apartments, houses and offices throughout the United States. Let’s take a deeper look at what the Austin brand offers and why HealthMate 400 has earned recognition as one of the industry’s highest rated devices. At first the air flow is cleared of all large particles by PermaFilt Pre-Filter – pet hair, dander and other contamination sources that you can actually see are captured at this point. This solution ensures prolonged term of service for the main filter. Pre filter is easy to clean simply by vacuuming it. Mold spores are captured at the second stage by another Pre-Filter that is specially designed to deal with the medium side hazards. 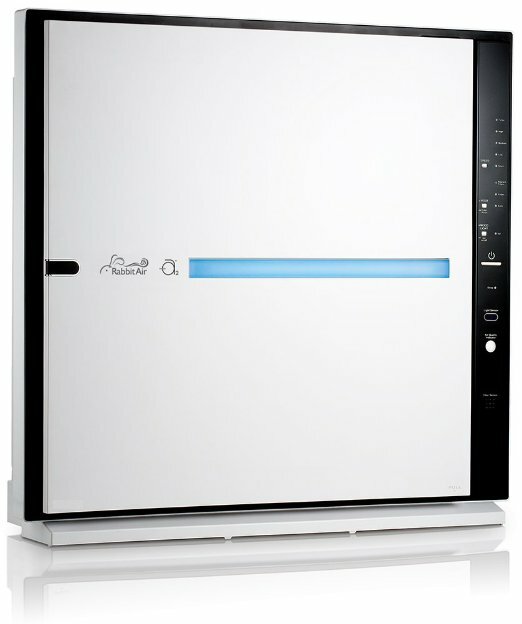 At this point the flow is cleared of unpleasant odors and chemical vapors by a filter made of Carbon and Zeolite. Finally, the smallest particles as small as 0.3 microns are trapped by a true HEPA This is the industry’s gold standard – a medical grade solution that purges the air of 99.97% harmful components. Don’t be fooled by the compact casing of the Austin Healthmate – this device has been specifically designed to work with large rooms – it will effectively cover as much as 700 square feet. 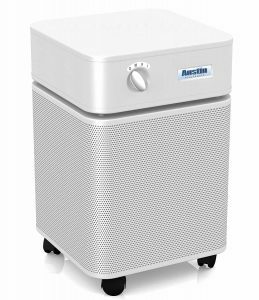 In this part of the article we explain in which ways the Austin Air Healthmate 400 exceeds its rivals and how it can be of use in your house. Let’s dive straight into the topic. 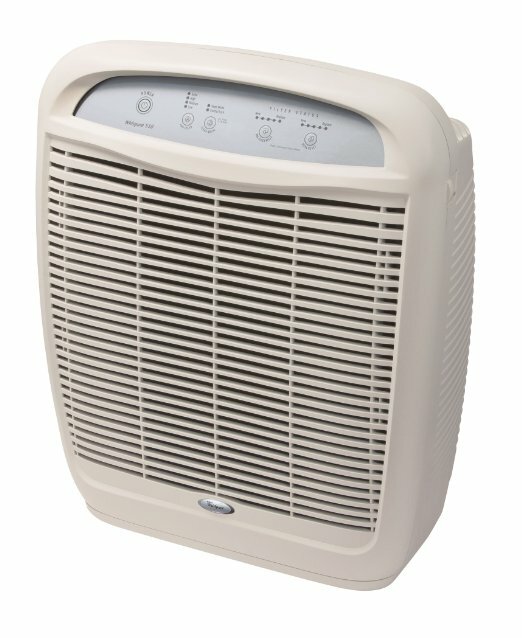 Judging by the Austin Air Healthmate 400 reviews, the device can easily run for a decade without any need for repairs or extended maintenance if handled properly. You can leave it running for long periods of time to enjoy fresh air with no worries – it is built to last. Quality of build is one of the cornerstones of Austin business. The brand uses the high quality components and efficient engineering solutions to ensure top notch performance. A PSC motor combined with steel casing and shock absorbents makes the Healthmate’s work powerful, quiet and relatively cheap. The exterior of this model deserves a highlight as well. With four different colors to choose from and a slick design, it blends seamlessly in nearly any environment. The manufacturer’s warranty lasts for full 5 years! During this period of time the device is guaranteed to run without issues, and any repair is conducted free of charge if the unit is used under normal conditions. Aside from that, if you need a filter replacement over a 5 year term (it may happen if you use the device 24/7, the life expectancy for a filter will be about 2-3 years in this case), you can get one at a discounted price. Another advantage of the model is definitely its low energy consumption (which is extremely important in our opinion because a significant amount of users prefer to run it around the clock). 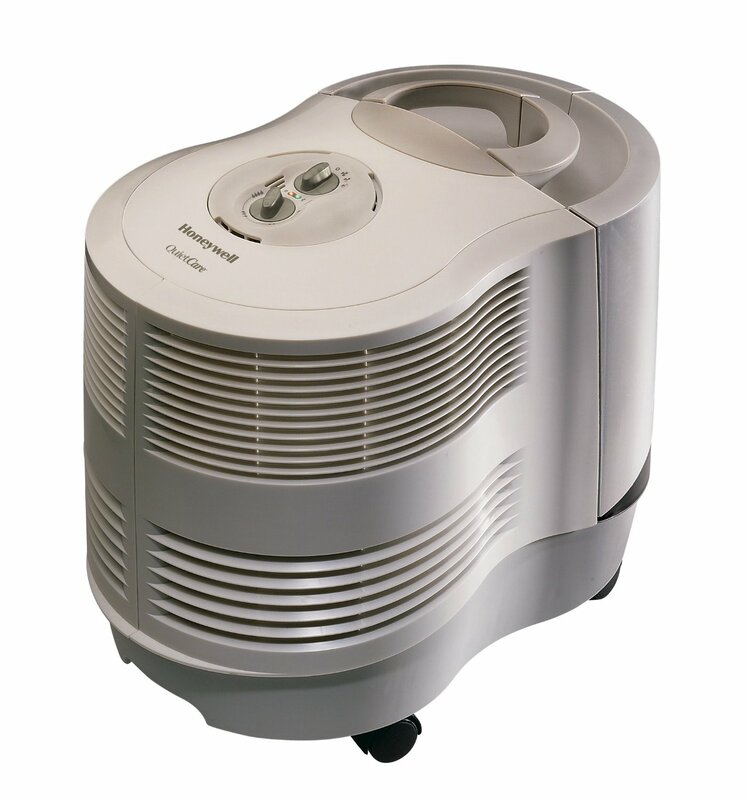 According to the data provided by the manufacturers, the Healthmate 400 requires half the amount energy that an average air cleaner needs to operate. ‘white noise’ at minimum. It actually helps at night by blocking out the sound of traffic or other irritating background factors. The air cleaner is easy to use. You need to simply plug it into the outlet and select one of the three speed modes. No need to monitor its performance or interfere with it further. The device will simply do its job and provide fresh air for the residents. Moving the device from one room to another is not an issue either. The built-in wheels make it easy to relocate the HealthMate without breaking a sweat. It’s also a great solution for people who can’t lift heavy weights because of certain physical conditions or medical prescriptions. Simple maintenance is also a big advantage. Remove the pre-filter and vacuum the surface – it should be enough to restore the efficiency of the device’s work. It should take no longer than 10 minutes. Last but not least, the Austin Healthmate is really cheap to use. The annual expenses amount to approximately 35 USD in electricity expenses and about 43 USD for a filter (it needs replacement once every 5 years, this is the price broken down by term of service). Affordable, isn’t it? 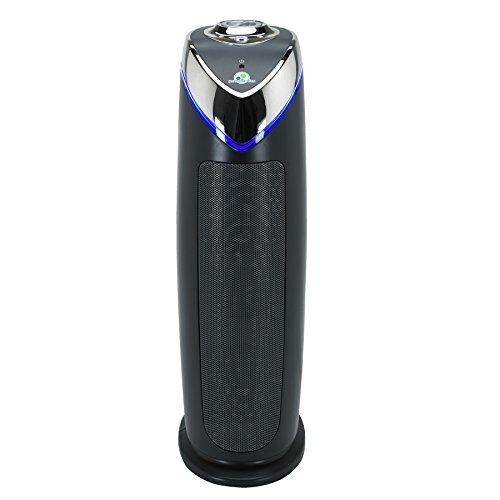 The device can effectively cleanse air on an area of 1500 square feet at maximum fan speed – enough to provide fresh air for an entire house. If you place it in a standard sized bedroom, it will clean the air inside 13 times an hour. Powerful and efficient, it creates air currents at maximum speed that can actually be felt. Please keep an eye on the ventilation holes – they should remain unobstructed at all times. Who Is This Device Made For? Would like to keep maintenance cost as low as possible. The people who suffer from asthma or allergies will also find this device helpful – it helps relieve symptoms and reduce the risks of attacks. The device doesn’t emit any ozone. The best part is that you don’t have to wait long for the relief. You will feel the improvement of air quality almost instantly. In order to maximize the benefits you get from your Austin Healthmate 400, please consider installing it in your bedroom. There are quite a few reasons for this – to start with, the human body inhales less oxygen in natural sleeping position than if you are sitting or standing, which makes it extremely important that the supply of air contains as much oxygen as possible (and no harmful particles). The device creates an ‘air pocket’ that allows you to breathe fresh air when you are standing, sitting or lying. 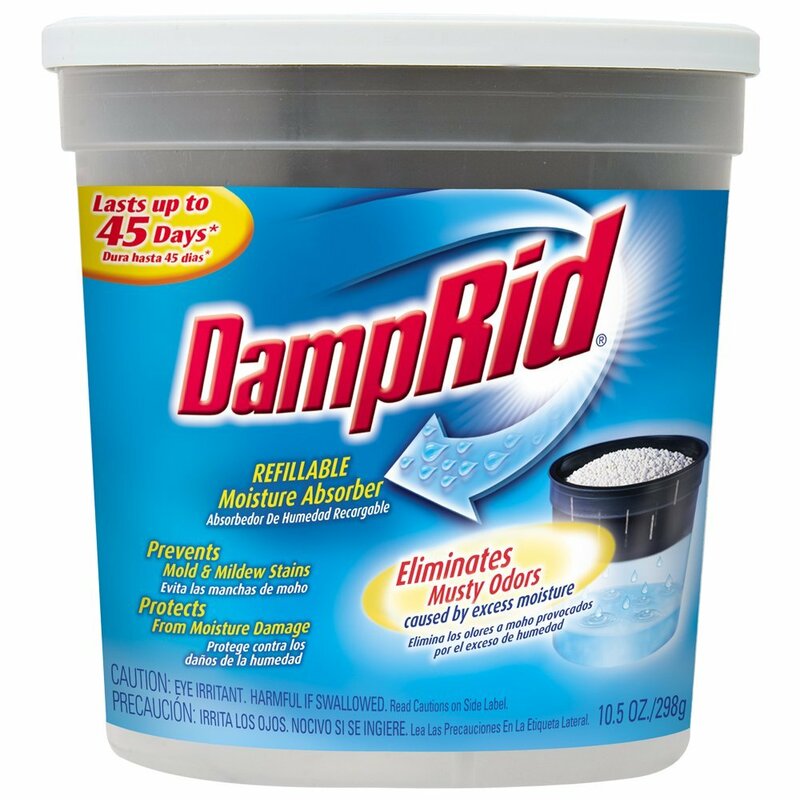 This solution ensures that wherever you are in the room, you will be in a clean environment. The quality of sleep pretty has a giant impact on your wellbeing; make sure you stay healthy. 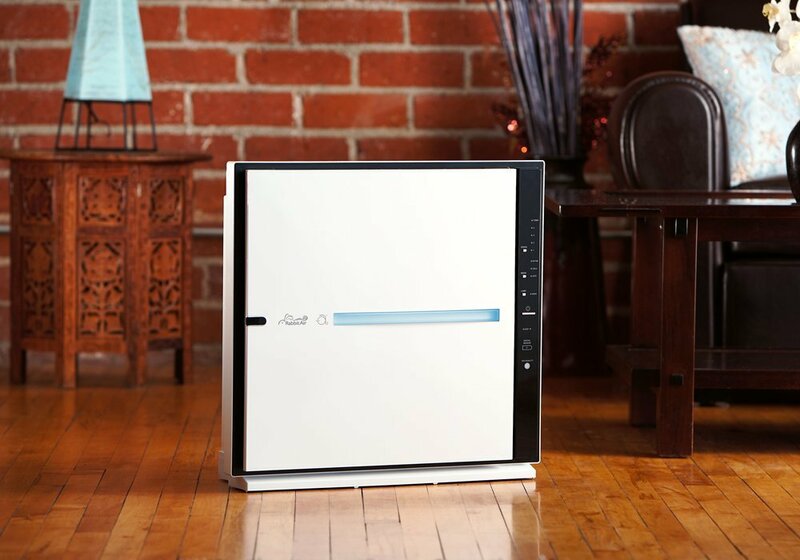 The Austin Healthmate 400 air purifier boasts incredibly high performance and captures up to 99.97% airborne particles with a true HEPA filter. 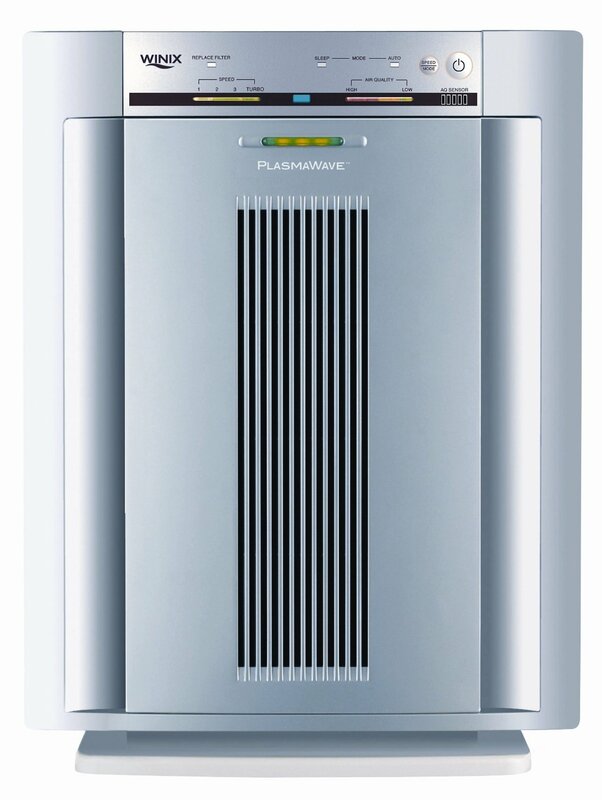 Compact casing and affordable maintenance make it a great pick for residential environments. If you are looking for a reliable solution that will last for years or even a decade, this is your sure bet. Stay safe and breathe clean air!